Jeremy Ladd-Cross is not as well-known as Thomas Smith-Webb, but played such a role in the combining and expansion of the Cryptic degrees that he is commonly referred to as the Father of the Cryptic Rite. Cross was born in Haverhill, NH, on June 27th, 1783. As a boy, he moved to Portsmouth to become an apprentice to a journeyman hatter. Although he traveled quite a bit, he became a Mason in Portsmouth at St. John's Lodge in 1807. On November 1, 1813, he received from the Grand Lodge of New Hampshire a certificate qualifying him as a Lecturer in Masonic ritual. In this Lodge he would serve as Junior Deacon before demitting. On March 15, 1815, Cross was exalted as a Royal Arch mason in St. Albans, VT, which added to his repertoire of the degree he could teach and lecture on. Lecturers were known sometimes as degree peddlers as they would accumulate as many degrees as they could and in turn would confer them freely. According to the General Grand Council, "Thus, one of the possible ways Cross obtained the Royal Master Degree was on August 5, 1815 when he was in Hopkinton, NH visiting the newly organized Tyrian Council of Royal Masters, which had received the degree from Benjamin Gleason, who had probably received the degree from Thomas Lowndes in New York City." Degree peddling though was an accepted practice in the 19th century and is one of the principle reasons Freemasonry expanded as the nation expanded in that time. In 1816, he would move to Providence, RI, where he would become associated with Webb and later a pupil of Webb. Even though he did not have a formal education, he was known for his amazing memory and would become a great lecturer, particularly on Webb's work which is based on William Preston. Webb is most known by his famous monitor where he formed a uniform ritual that most jurisdictions practice today. While traveling through Baltimore, he received the degree of Select Master from Philip Eckel who he had previously met in New York at a meeting of the General Grand Chapter of Royal Arch Masons. With this conferral he then had the authority of conferring all the Capitular degrees as the Cryptic degrees were then usually controlled by the Chapter of Royal Arch Masons. After departing Maryland he leaves a trail of appearances in Pennsylvania, Tennessee, Kentucky, Ohio, Indiana, Mississippi, and Louisiana. By the Spring of 1817 though he was back in Baltimore and received from Eckel the authority to charter and officially organize Councils of Select Master. It was in New Haven, Connecticut, that he would affiliate with Hiram Lodge #1 and later serve as Illustrious Master for Harmony Council for 8-years. He would then travel and establish Councils throughout New England while visiting the various states. It was thought that Cross stayed many years in Connecticut since this state was a beacon for Masonry during the time when Masonry lost favor in the fallout of the Morgan Affair. The exact date that he started teaching both the degrees Royal Master and Select Master in a Council is not known, but there is an excerpt from his diary from March 21, 1818, that he conferred both degrees to Companions in Middletown, CT. 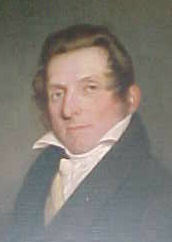 He spent much of his time in Connecticut and established many Councils here and in October 1818, while at the Grand Chapter meeting, made the recommendation that the following year the Councils meet to form a Grand Council which would be established to govern and regulate the Councils and ritual under its jurisdiction. In Templar circles 1818 was also an important year for Cross. In September he had visited Providence, was 'healed' in St. Johns Commandery and received the Order of Red Cross. In October he affiliated with Washington Commandery at a meeting in New London. On May 18, 1819, twenty-two Companions met in Hartford, CT. The convention was called to order by Companion Talcott Wolcott, Illustrious Master of the Hartford Council and Lymna Law (Grand High Priest of Connecticut) was selected as Chairman and John Gannett as Secretary to preside over the establishment of the Grand Council of Select Masters. The next day a Constitution was presented and adopted outlining the government of the organization, established the powers of the Grand Council, the duties of the Councils, and the regulation by which fees and new charters would be established. In one of its articles it established that both the degrees of Royal and Select Masters would be covered by the fees of initiation. It should be noted that Cross was not recorded to be present at this assembly. In his travels around September 1819, Cross came upon John Snow of Baltimore who he empowered to further establish Councils of Royal and Select masters in Ohio, Kentucky, Indiana, and Illinois. Snow and Cross stayed good friends, and Cross wrote Snow asking him of his opinion on many Masonic matters. Aside from Snow, John Barker was another pupil of Cross, who moved to Charleston, SC, and further disseminated the Cryptic degrees in the South. Cross is also noted for publishing, what he called the first True Masonic Chart as well as the Templar Chart in 1821. These charts did not print any secrets, but rather highlighted particular Biblical passages, symbols, and portions of the Lectures. This chart was extremely popular and used by Grand Lodges to ensure the constituent Lodges practiced a uniform ritual in a time that ritual work was chaotic. He became so busy with his charts and other Masonic furniture that he gave up most of his lecturing. He would eventually move north to New York then back to Haverhill where he would pass away as a bachelor on January 26, 1860. His gravestone memorializes him as a "Right Worshipful Grand Lecturer" and features an emblem of the 33rd degree of the Scottish Rite. It is not known exactly where he received the degrees of the Ancient and Accepted Scottish Rite, but it is believed have occurred while in Connecticut and he was acknowledged by the Consistory in New Orleans.